Sketches of the Topography, Civil and Natural History of the Country, the Climate, and the Indian Tribes from the First Discovery to the Present Time John Williams was neither a historian nor a writer. He was a lawyer, sixty years old when Seminole Indians ambushed and destroyed the command of Major Francis Dade in the winter of 1835, the battle that ignited the Second Seminole War, the longest Indian war in American history. Begun before the war, the first half of his book deals with the topography and civil and natural history of the country, the climate, and the Indian tribes. Then came the war, and his focus turned to the long background that led to the conflict and the conflict itself. 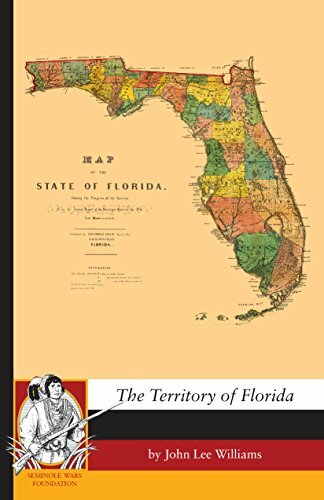 Published in 1837, the book was well received by a public eager for knowledge of this foreign land called Florida.